The Year of Live Video Streaming: Is It Really Worth It? Following in the footsteps of 2016’s video marketing trends, live video marketing has become a powerful boon – and bane – for marketers. Users crave instant, live content, and several social media sites have risen to the challenge of providing it. Facebook, Instagram, and YouTube have all cited amazing influxes of users to their live content, but they haven’t done so without discovering the darker side of live sharing. Deciding if your marketing strategy should include live video feedback should come only after a careful and realistic evaluation. While live content offers many bonuses, and can heighten a brand’s popularity significantly, it can also become potentially costly for both finances and reputations. Live video marketing is a classic example of great reward coming at great risk. Here are some of the pros and cons you can use to decide if live video marketing is the right strategy for you. Live video streaming allows brands to connect with customers on a personal level. The sense of exclusivity that live content offers strengthens the bond between brand and consumer while affording a sense of transparency to the company. 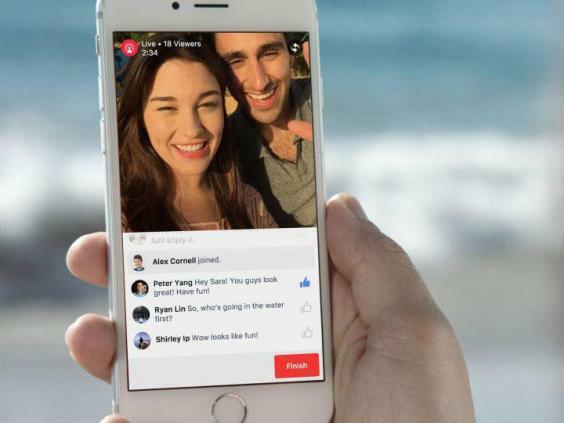 Though new to Facebook, live streaming itself has had some time to develop – from Periscope to Vine, live video can personalize the business-consumer relationship. It’s also a great opportunity to solicit feedback directly from consumers, if the platform you’re using allows for interactive commenting. Ask users what they want in real time and get their answers back the same way. If you’re already using video content as part of your marketing strategy, making the transition to live marketing doesn’t have to be costly to implement. The materials and tools required are the same. All you need to produce live content is a good quality camera that can record in high definition and an internet connection that can support that high quality. Holding live events, like customer question and answer sessions, or live tutorials, is a great way to increase brand loyalty and customer engagement. It’s also an excellent way to showcase your product, whether that product is information, merchandise, or expertise. After a while you’re liable to start seeing the same screen names and users in your sessions. Encourage and allow your users to interact with one another to build a stronger sense of community in your consumer base. The more they interact and identify with each other, the more they’ll start identifying with you. And finally, rounding out the list of pros, is the uniquely human quality that live video marketing can afford your operation. It allows your brand to have conversations with your users and let them take part in the brand narrative. When your users feel as if they have ownership in the shape of the brand, they engage with it on a personal level. When that happens, your conversations turn into conversions. If something goes wrong during a live video session – whether it’s technical or human error – there’s no undo button or editing magic to take care of it. The human aspect of live marketing is a double-edged sword for brands – while it makes you more relatable, it also increases your chance of error. Fortunately, good grace and a sense of humor can often overcome smaller errors. If your presenter, project manager, or staff involved in the live product aren’t fully prepared, users will notice. While your customer base is free to use your time at their leisure (they paid, or will pay, for that privilege), the luxury is not mutual. If your project appears unprepared, users may feel that you’ve wasted their time, and that perception can be nearly impossible to recover from. Specifically, you could potentially miss your target audience. This is another case of a double-edged sword: the boon that exclusivity offers may also be the bane. You could consider adding multiple live sessions to a given day to increase your exposure chances, but that may require time and money you can ill afford to spare. Whether it’s your ISP or your customer’s ISP, you have two major hurdles to a live feed and you’re (usually) incapable of doing anything about them. If either side falls short, your user may receive a low quality or overburdened feed which detracts from, rather than adds to, the perception of your brand. Outside of costly upgrades to your own internet arrangement, there’s no way for you to contend with this factor except to hope for the best. If you’ve decided that the pros outweigh the cons, there are some steps you can take to limit the potential for live snafus. Plan and prepare without scripting. The biggest draw of live video marketing is the interactive, human factor, so don’t create such a rigid program structure that it loses its humanity. Get comfortable improvising. If the seminar you scheduled is supposed to be about troubleshooting but your audience wants to talk about a new release, let them. It’s more important to provide your audience what they want than it is to stick to your plan. Incorporate users as part of your brand narrative. Make your followers and audience central characters in your brand’s story – not extras wandering around a set. If you notice the same faces or usernames supporting your brand through several live sessions, reward them by returning the support. Even a small show of live, spontaneous recognition can have a big impact on the audience’s perceptions. When they see you rewarding loyalty, they’ll be inspired to be more loyal. It’s a positive perpetuation cycle. Accept that you will occasionally be stranded in the proverbial desert without any real answers. It’s better to offer a sincere, “I’m not sure, but I’ll find out and get back to you …” than it is to try to sell them an answer which has no conviction. Remember, authenticity is an asset in live recording, not a liability. Consider recording your live sessions and uploading them somewhere that other users can easily reach. But don’t edit them aside from what’s necessary. Users will appreciate your authenticity and willingness to display your mistakes, while they’ll distrust your attempts to erase them from the record. Offer multiple quality levels. This will be determined more by the platform you use for streaming than anything else, but make sure that your live feeds can be watched in the highest quality or the lowest quality. Not only will this allow more mobile users to tune in without data burning, but it also accommodates tablet users or users with limited bandwidth. And finally, engage back. If you ask your users what they want, you need to listen and act on their answers. Live lip service won’t incur any more benefit than delayed lip service would. You can’t expect your users to engage more with your brand if your brand isn’t responding in kind. Well, this is was very tricky. I think video marketing is successful kind of marketing but not everywhere and every time. All I can say is we must have to analyze the market, the customer and the product/service and then come up with a good marketing plan.